30 Christmas Gifts Kids Can Make with Little to No Help from an Adult! I love making and receiving homemade Christmas gifts, don't you? When they are crafted by sweet little hands they are even better, I have gathered up 30 Christmas Gifts Kids Can Make to help you and your little one make homemade gifts. Rather than spending a lot of money and long hours at the store picking out gifts why not help your child make homemade gifts this year? 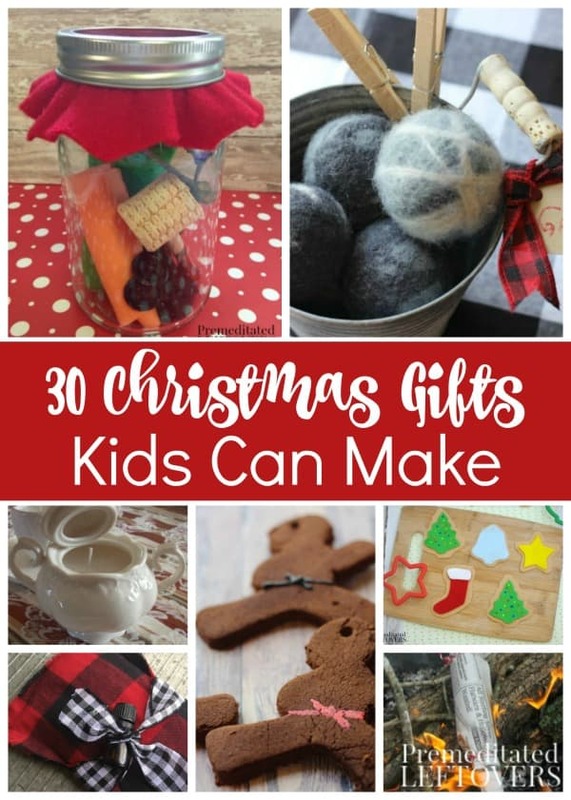 This list of 30 Christmas Gifts Kids Can Make has something for everyone on their list and can be made with varying amounts of help by a grown-up depending on their age or skill level. Think of the special memories you will create as you make thoughtful gifts by hand with your child and watch eyes light up as the recipient opens them up. 1. DIY Wool Dryer Balls- These dryer balls end up looking fabulous but are super easy to make. Even without perfectly tight winding they look as good as any store-bought version and would make a great gift for grandma or anyone else tucked into a pretty container with a bottle of essential oil. 2. DIY Beard Oil Recipe-Fuzzy faced dads, grandpas, uncles will all enjoy this wonderful smelling diy beard oil made by sweet loving little hands and it is perfectly safe for them to make with just a few natural ingredients. 3. Homemade Lip Gloss for Kids- Rather than buying a lot of little disposable toys for friends how about helping your child make safe natural lip gloss in a few different flavors to hand out? They look sweet in these little rollers and are not used up as quickly. 4. Kid-Decorated DIY Dish Towels- Turn their sweet little drawings into a precious keepsake for mom, grandma, teachers, or a favorite aunt. 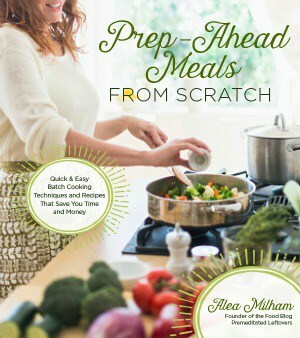 Grab some basic kitchen tea towels, sandpaper, and an iron and create these personal gifts with your child. 5. How to Make a Sugar Bowl Candle or Tea Cup Candle– This DIY is the perfect way to upcycle a single teacup or sugar bowl, if you don't have any on hand you can easily find them at thrift stores and yard sales. 6. DIY Felt Keychain Earbud Case- Older siblings would love this practical way to keep their earbuds handy, charms can help your little one personalize them even more for the recipient. 7. DIY Perfume Roller Bottle With Essential Oils– Moms, grandmas, aunts, Sunday school teachers, babysitters, all would love to receive these perfume roller bottles. Made with essential oils the scents are lighter and longer lasting as well. 8. Using Kid’s Art to Create Note Cards– Kids love to doodle and draw turn their sweet artwork into stationary that anyone would love to be gifted, use seasonal and more everyday images to create a box of unique and useful gifts. 9. 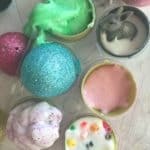 DIY Bath Fizzies For Kids-DIY Bath Fizzies For Kids – Not only do kids love to take a bath with bath fizzies they will also enjoy creating and gifting them to friends, cousins, or siblings as well. They are so easy to customize with fun colors, shapes, and scents. 10. DIY Cinnamon Applesauce Ninjabread Men Ornaments– Have an ornament exchange coming up? How fun is this new spin on a traditional homemade craft, cinnamon applesauce ornaments with a kick, literally! 11. Homemade Hot Chocolate Mix– Edible homemade gifts are just as wonderful! Not only is this recipe tasty but we show you how to decorate the jar as well. Rudolph delivers hot cocoa to friends and family to enjoy. 12. 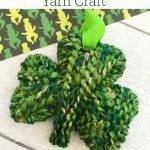 Homemade Fringed Flannel Rice Pack – Homemade Fringed Flannel Ricboo-boosHeadaches, sore muscles, boo boos- we all get them. I can't think of one person on our Christmas list that wouldn't use a rice pack and think of your child everytime they use it! This is a great beginning sewing project for your child to make. 13. No Sew Dish Towel Apron Tutorial– I don't know about you but I am always finding pretty single dishtowels that might not fit everyone's kitchen decor but I just know can be made into something cute. I adore this apron made from a pretty single dish towel! 14. How to Make Painted Hand Print Stepping Stones– You can pick up stepping stones at your local home improvement store for $2 or less and let your child turn them into personal treasures to decorate grandma's vegetable garden, papaws walkway, or Aunt Betty's front yard. 15. No Sew Pirate Play Mat– ARGH! Kids usually have tons of little figures around, what they could really use is a roll-up mat like this that gives them a start for their imaginative play. Your child can design, cut, and use a tacky glue to create this fun little mat. 16. Felt Christmas Cookies- You don't have to stop at Christmas, use this tutorial to create year-round felt cookies from all sorts of shaped cookie cutters. Tracing and cutting are great skills for kids to work on and these make for a fun imaginative gift for another child to receive. 17. DIY Coffee Scented Wax Melts– MMMM there is nothing like the smell of coffee as far as an I am concerned and with coffee houses popping up everywhere you look I am not alone obviously. With a little help from you on the hot part of this DIY your child can create coffee scented wax melts that will be well received by everyone from grandma to Aunt Lou! 18. DIY Scented Fire Starters– I love a good roaring bonfire outdoors don't you? While the kids should stay away there is no reason they can't create these cute and wonderfully scented fire starters to gift. Start gathering up dryer lint and tp rolls, pick up a few bottles of whole spices and your sweetie can create a basketful of them. 19. DIY Lemon and Rosemary Gardener's Hand Scrub -Does grandma love digging in the garden? Mrs. Lee the next door neighbor? Homemade hand scrubs with essential oils are safe, inexpensive, and fun for your kids to make and are great for gifts. 20. Homemade Pom Poms Tutorial– If you have a little cheerleader or sports fan on the nice list you can use this very easy tutorial for pom poms to create them a unique set in their school or favorite sports teams colors. 21. Unicorn Ornament- Unicorns are the in thing right now in my house. We made these unicorn ornaments for friends in Sunday School, our homeschool co-op, and to take to our ornament exchange. 22. Felt Garden Markers- It may be chilly now but spring will be here before you know it. If your child has a gardener on their gift list then these felt garden markers are the perfect gift bundled with a couple packs of seeds to welcome warmer weather! 23. 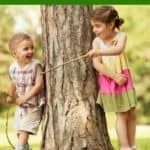 How to Make Peg Doll Fairies– Little wooden peg dolls are a wonderful open-ended craft item that you can turn into any number of characters like these Peg Doll Fairies that are great for indoors or to play in the fairy garden outside. You can create a set of fall, winter, summer, and spring fairies to gift to someone. 24. DIY Tic-Tac-Toe Travel Game Bag– I find these little drawstring bags year round at Target, you can also pick them up on Amazon and at craft stores, add a few simple small items like buttons and some sew on patterned tape to create travel tic tac toe bags that are ideal for kids waiting at long appointments or dinners. 25. Easy Rainbow Wall Hanging Craft for KidsEasy Rainbow Wall Hanging Craft for Kids- A few basic craft supplies can be put together to create a unique and pretty wall hanging for another child's bedroom, grandmas hallway, or a classroom for a favorite teacher. 26. Arctic Adventure Travel Play Set– I love the little TOOB's filled with animals, people and other miniatures but when gifting them alone they don't make quite the impact they do when you present them in a case for carrying that also doubles as a background for the play! 27. DIY Snowman Kit in a Jar– There is plenty of winter (and snow) left after Christmas. If you need a fun gift for your kids to put together and give for someone in a snowy climate then a Snowman kit in a jar is just the thing! It will provide winter after winter of snowy fun! 28. DIY Painted Outdoor Blocks for Kids– We will be making several sets of these for younger siblings and cousins. Kids can paint and design beautiful outdoor blocks that can be stacked, drawn on with chalk or used to create roadways outside. Use up any leftover paint you have on hand and sanded smooth wood from your scrap pile to keep it a frugal gift as well. 29. Tissue Paper Decoupage Flower Pot- Turn a plain terra cotta pot into something more special and one of a kind with some pretty tissue paper and a simple decoupage technique. 30. Upcycled Wind Chimes – Clean out that junk drawer or take a trip to a thrift store for this fun upcycle. Kids can make upcycled wind chimes that will be well received by anyone for their quirky uniqueness. 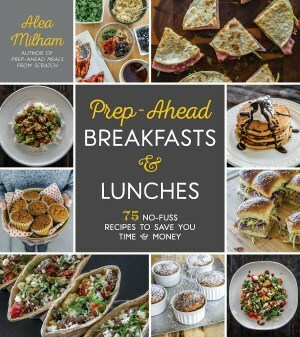 Friends and family will cherish the homemade gifts that you and your child took the time to make. Consider each person as you choose the gift to make for them and customize it a little to them to create something that is unforgettable!